What tradition marks the beginning of the holiday season for you? It started at my first job at an insurance company, of all things (yes, games work is much better). I worked in the Hancock building, and right next store was Water Tower Place, where we’d often wander on our lunch break. One day, a coworker came back raving about some coffee she tried there: Gloria Jean’s Pumpkin Spice. Not being a flavored coffee fan, I was skeptical, to which she replied by buying me some. That gesture in itself was unexpected, sweet, and memorable. The coffee was pretty damn good, too. When next fall came around, I was in the middle of moving across the country to a city I’d never been (Seattle). 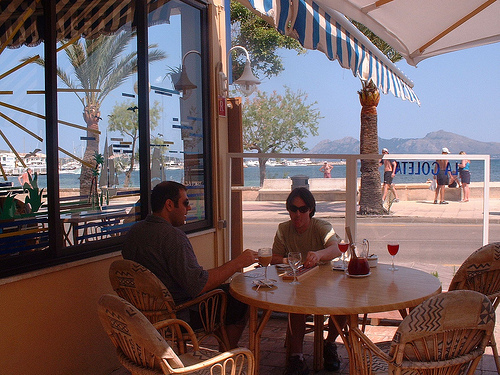 Though I recalled the coffee, I was much too busy and overwhelmed to bother tracking it down. I was living out of a suitcase for two months, for Pete’s sake. It’s kind of amazing what you can be willing to do for love when you’re young and relatively possession-less…. Anyway, the following fall, my boyfriend at the time (now husband) was working long hours on the original Xbox and Halo. Marooned in a new town, I decided to take an extended trip to Minnesota to spend some quality time with one of my favorite people in the world: my soon-to-be mother-in-law, Sue. 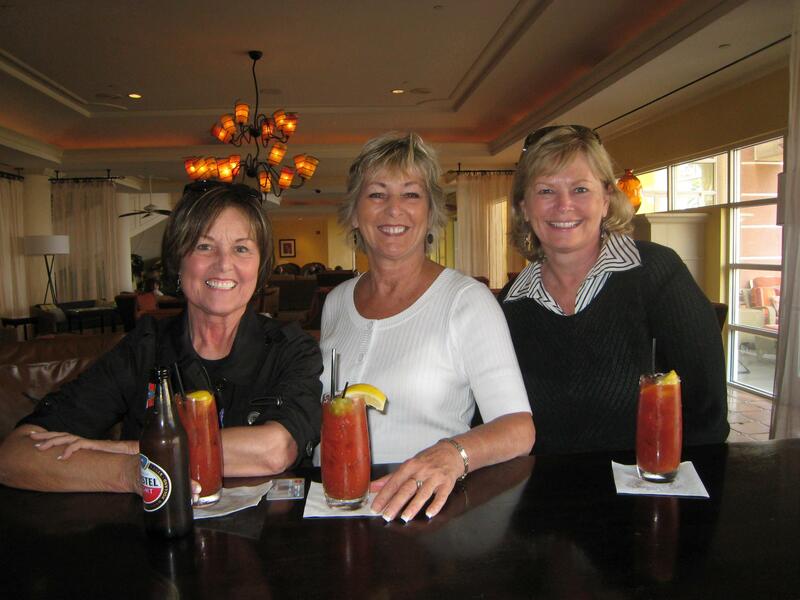 Sue (left) enjoyed a Bloody Mary on special occasions (always served with a beer “back” in Minnesota), but her everyday morning pick-me-up was coffee. Here’s what I discovered on that trip: Sue LOVED to shop. So we spent some quality time checking off our upcoming holiday list. And if you’re shopping in Minnesota, chances are you’ll eventually end up at Mall of America. There’s some sort of law of gravity involved. To my surprise, they had a Gloria Jean’s there, selling (you guessed it) the Pumpkin Spice coffee from earlier in my tale. Of course, I had to buy a bag, and I also bought one for Sue, to thank her for her hospitality. The next morning, Sue didn’t wake me up with a knock or an alarm or her trademark “Hello, Love!” She simply sat a steaming cup of that aromatic coffee on my nightstand. To this day, I can’t smell it percolating without remembering that moment and Sue and all of her little gestures of thoughtfulness that always meant so much to everyone who loved her. Every year going forward, I sent Sue a bag of that coffee and ordered one for myself, too. One time, our friend Ramsey was visiting in the fall, and we enjoyed that same coffee in our little Seattle Capitol Hill apartment while whiling away a weekend playing video games. (Oh, for the luxury of free time again!) So every year, I send a bag to him in honor of that memory, too. We’ve had many great memories with our Best Man, Rams, not the least of which was traveling to (and playing games on) the island of Mallorca. 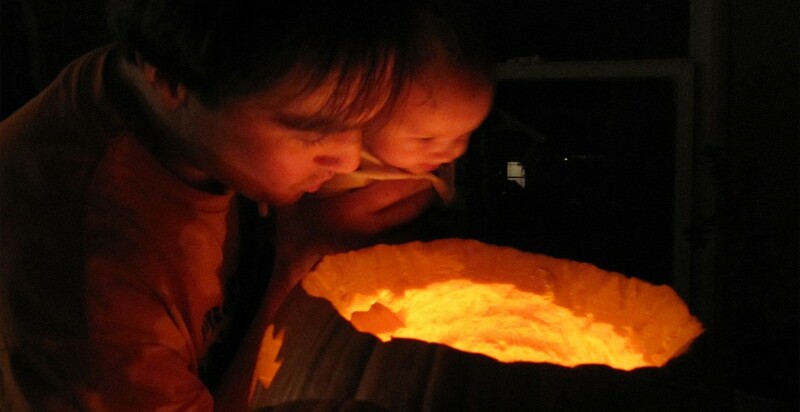 It also became an integral part of our Pumpkin Day festivities, several of which were enjoyed with Sue. Then, when Sue passed away from breast cancer three falls ago, my friend Shanon was instrumental in helping me through that grief, on top of the holidays and new motherhood. Because of that, Sue’s annual bag now goes to Shanon. So, it’s not a tradition that has anything to do with religion or childhood or family legacy. It’s merely a string a kind gestures assigned to this otherwise perhaps unremarkable product that makes it entirely remarkable to me. But in the end, that’s what a good tradition is, isn’t it? Memories of unforgettable times shared with the people we’ll never forget.